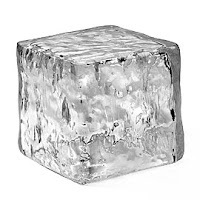 Freeze a block of ice onto a long string. Weave down clothes, up next for as many people as you want to include. Frozen trout instead of block of ice. Or use an extension cord instead of the ice and string and the goal is to plug in a lamp or strobe light. OK....now do this with a frozen trout in place of the block of ice (can be found in your local grocery store)..and attach to the string by drilling a hole! YOU won't believe what you will experience....TOTAL HILLARITY!